Step 2: Using a medium cookie scoop, add a few scoops of ice cream into each mug. 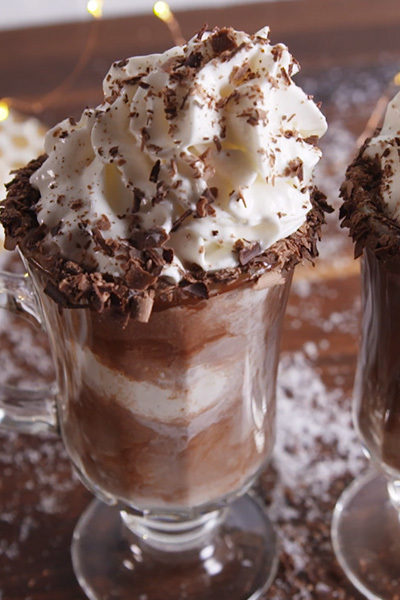 Pour hot chocolate and Baileys on top. Step 3: Top with whipped cream and sprinkle with any extra chocolate shavings. Enjoy these adult-friendly snowmen from Delish!